From SPIKE TV comes the acclaimed original series, "The Kill Point." Emmy® Award-winning actor John Lequizamo is "Mr. Wolf," an Iraq war veteran who leads his ex-platoon on a daring bank heist. But when the robbery goes tragically wrong, the onetime soldier has no choice but to take hostages. Going head-to-head with Mr. Wolf is "Horst Cali" (Donnie Wahlberg), a no-nonsense hostage negotiator who refuses to back down. What follows is a thrilling match of wits and guts between two men who both have something to prove--and everything to lose. 8 part, 6 hour made for TV mini-series produced for Spike TV about a botched bank robbery and the ensuing hostage situation. I started this with some trepidation as I wondered how a simple bank heist could sustain 6 hours and while they could have shaved an hour off all in all I thought it was very good. John Leguizamo was excellent, one of his best performances ever frankly. Donnie Wahlberg was top notch and in his element as well. Tobin Bell, playing a ruthless business man trying to get his hostage daughter out was solid too in the few episodes he appeared. It was refreshing to see him shed his Jigsaw moniker to take on a more meaningful role. The biggest flaw I found was the inclusion of a rooftop sniper who babbled prophetic nonsense throughout the series which made no sense as in the end his character had no significant impact on the plot or it's conclusion. Interesting twist near the end, and a good ending too even if it was a bit predictable. Some 90 minute movies take me several days to finish watching based on time available and my level of interest. I knocked off this six hour mini-series in one day. That should tell you something about it. Damon Wayans stars in this hilarious escapade that commands laughs aplenty! When peace breaks out in America, killing machine Major Benson Winifred Payne, United States Marine Corps Special Forces (Wayans), is given his marching orders...to the unemployment line. Unable to cope with civilian life, Payne is thrust back into the military regimen as commander of the Madison Academy Junior ROTC. The marching competition near the end was entertaining, with excellent gun work from one of the cadets. I might have found this more funny as a full fledged youngster but it did little to amuse my remaining inner child. Shouldn't that be a Major Payne? Pain, Payne, Pane... any way you spell it, it was majorly annoying. Pretty much the same for me. I remember loving it when I was young. When I last saw it recently, it just annoyed me. Sorry to hear this... as I remember enjoying this when it first came out... and been wanting to check it out again. But I wasn't all that young when I watched it the first time (26) so maybe I would still like it... I don't know. Academy Award® winners† George Clooney and Renée Zellweger team up in this fun-filled comedy set against the beginnings of pro football. Dodge Connelly (Clooney), captain of a struggling squad of barroom brawlers, has only one hope to save his team: recruit college superstar Carter Rutherford (John Krasinski, The Office). But when a feisty reporter (Zellweger) starts snooping around, she turns the two teammates into instant rivals and kicks off a wild competition filled with hilarious screwball antics! Critics are cheering Leatherheads as "a real winner" (Claudia Puig, USA Today). † George Clooney: 2005 Best Supporting Actor, Syriana. Renée Zellweger: 2003 Best Supporting Actress, Cold Mountain. Amusing period piece about the birth of professional football. You could tell George Clooney had fun with this one. I always enjoy sports movies but this was average at best. I liked how the final game went down though. SOMETHING FISHY IS HAPPENING at Bill's Bait Shop. Forced to come up with $15,000 or else witness his small-town bait shop become the one that got away, Bill (Bill Engvall) must rely on a comedic cast of friends and family to hook the "the big one." 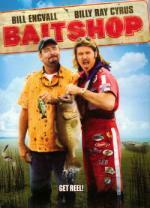 Putting his reel skill to the test, Bill enters the annual Bass Tournament against rival bait shop owner Hot Rod Johnson (Billy Ray Cyrus), who's determined to put his money where his large mouth is. It's Bill's last chance to prove that in this pond called life, he's still the big fish. Piss poor comedy full of drab, phony performances. Even the fish looked fake. I always thought Bill Engvall was one of the funnier ones of the redneck goofs but his on stage comedy just doesn't translate to movies. Billy Ray Cyrus, mullet and all, was extremely annoying. 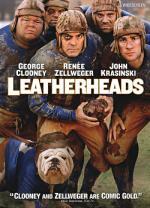 I was pleasantly surprised by Leatherheads, it was an entertaining film. The only part that was annoying was Renée Zellweger. I can't understand how this actress has become so successful. She is like nails on a chalkboard for me. Renee Zellweger is to you like Drew Barrymore is to me. I enjoyed Zellweger in Cold Mountain & the first Bridget Jones movie. The rest of her performances I can take or leave her. I don't think she has the looks or the personality to be the elite leading lady that some would label her as. ANGELA'S ASHES, the Pulitzer Prize-winning memoir, comes to life in this stirring film from acclaimed director Alan Parker (Evita), starring Academy Award-nominee Emily Watson (Breaking the Waves) and Robert Carlyle (The Full Monty). Life in impoverished Depression-era Ireland holds little promise for young Frank McCourt, the oldest son in a tightly-knit family. Living by his wits, cheered by his irrepressible spirit, and sustained by his mother's fierce love, Frank embarks on an inspiring journey to overcome the poverty of his childhood and reach the land of his dreams: America. True story about the extreme poverty and desolation of Ireland in the days of the famine and deadly tuberculosis as seen through the eyes of a young boy. As powerful a survival story as you will ever see, the story is told from the memoirs of the man who was that young boy, Frank McCourt who wrote the book of the same name. Watching his siblings, friends and even his first love all die of the consumption (tuberculosis), while his drunken father pisses away what little money they are fortunate enough to come by as his family flirts with starvation... you begin to marvel at the fortitude of this young man. Excellent performances by Robert Carlyle and Emily Watson as the parents who are trying to keep it together. It was not hard to see why so many Irish dreamed of coming to America which the young McCourt worked and earned for himself at the age of 16. Excellent ambiance and atmosphere in the portrayal of the squalor of the Irish ghettos. I was captivated by the intense storytelling despite the lengthy duration of the film (2 1/2 hours). Highly recommended! Would like to read the book as well. I don't think she has the looks or the personality to be the elite leading lady that some would label her as. Or she just has a very talented tongue, if you know what I mean. Wes Craven (The People Under the Stairs, Shocker) directs this terrifying story of one man's nightmarish journey into the eerie and deadly world of voodoo. A Harvard anthropologist (Bill Pullman) is sent to Haiti to retrieve a strange powder that is said to have the power to bring human beings back from the dead. In his quest to find the miracle drug, the cynical scientist enters the rarely seen netherworld of walking zombies, blood rites and ancient curses. Based on the true life experiences of Wade Davis and filmed on location in Haiti, it's a frightening excursion into black magic and the supernatural. Inspired by the true story of a doctor who traveled to Haiti to investigate alleged 'Zombie Powder' and it's potential medical applications. Wes Craven vividly embellishes that story and turns it into a great Voodoo movie. An early movie for Bill Pullman who I thought did great but the real star of this is Zakes Mokae whom I've always admired as an actor. His portrayal of a 'collector of souls' is brilliant. I saw this movie a couple of times over the years and it still fascinates me. It's surprising that the active ingredient in the powder, textrodotoxin, which was discovered many years ago hasn't been explored and exploited more since then. It's apparent capability to cause a type of paralysis that can emulate death borders on the fantastical and is likely the closest thing there is to real 'black magic'. I agree, The Serpent and the Rainbow is a good film, Wes Craven did a good job here, far away from any houses, hills or nightmares . I rememer it creeped me out quite a bit when I originally saw it at the cinema and it held up quite well during a re-watch not so long ago. I also read the book this is based on (since it talks about "real life zombies") and found it quite interesting to learn the background.